Evidence is emerging that what has been called the Laurentian language appears to be more than one dialect or language. [ citation needed] Ethnographic and linguistic field work with the Wyandot tribal elders ( Barbeau 1960) yielded enough documentation for scholars to characterize and classify the Huron and Petun languages. 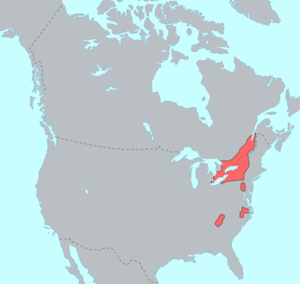 The group known as the Meherrin were neighbors to the Tuscarora and the Nottoway ( Binford 1967) in the American South and may have spoken an Iroquoian language. There is not enough data to determine this with certainty. Attempts to link the Iroquoian, Siouan, and Caddoan languages in a Macro-Siouan family are suggestive but remain unproven ( Mithun 1999:305). Binford, Lewis R. (1967), "An Ethnohistory of the Nottoway, Meherrin and Weanock Indians of Southeastern Virginia", Ethnohistory, Ethnohistory, Vol. 14, No. 3/4, 14 (3/4), pp. 103–218, doi: 10.2307/480737, JSTOR 480737 . Mithun, Marianne (1985), "Untangling the Huron and the Iroquois", International Journal of American Linguistics, 51 (4), pp. 504–7, doi: 10.1086/465950, JSTOR 1265321 .